MTSU student Landon Clark graduates in May and is looking to launch his professional career if the right opportunity arises. Dressed in suit and tie, the senior marketing major from Murfreesboro, Tennessee, was among dozens of students from MTSU’s Jones College of Business seeking an internship or entry-level job at the recent Business Exchange for Student Talent, or BEST, Career Fair inside the Student Union Ballroom. 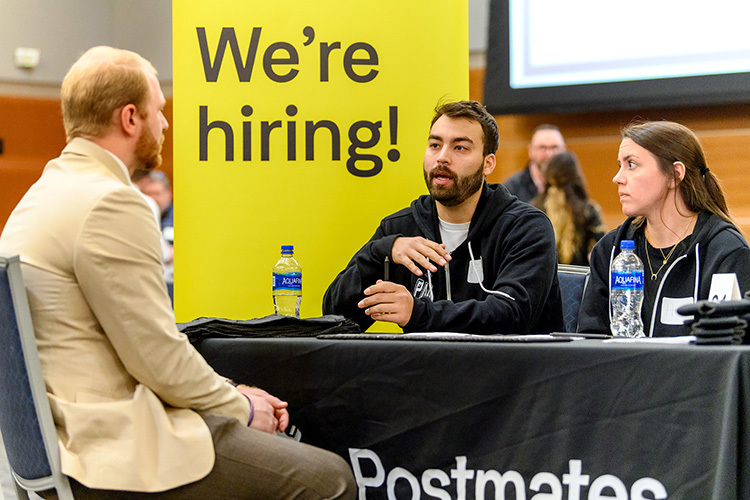 “When you meet all of these new people, it can set you up for other opportunities,” said Clark, who spoke with four different companies during the half-day March 20 event. This was Clark’s second year attending BEST, and he felt his return visit included a more polished elevator pitch and greater confidence in general. He applauded MTSU for hosting so many employers on campus. 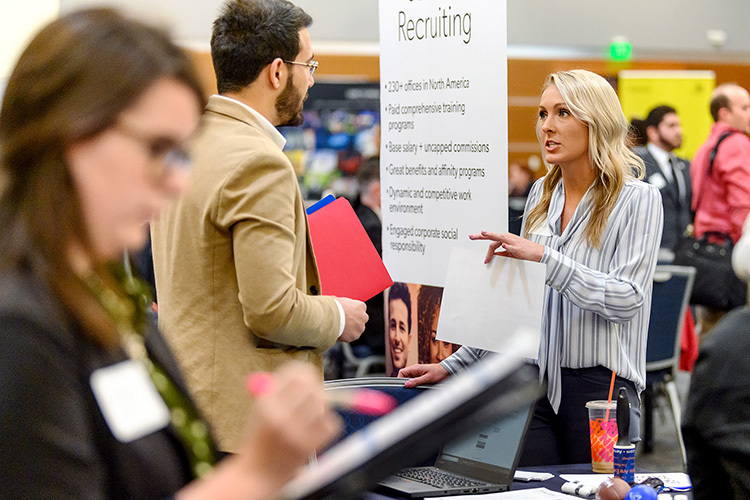 Sponsored by the Department of Management and Department of Marketing, the four-hour event targeted students majoring in business administration, management, entrepreneurship, and marketing to “sell” their qualifications to close to 50 companies, ranging from UPS to Dell to Walgreens. Laura Buckner, an instructor and internship coordinator in the Department of Marketing, said this year’s format was a combination of “speed networking” group interviews with employer representatives for the first part of the fair, followed by the more traditional career fair set-up where students could visit employer booths to speak one-on-one. 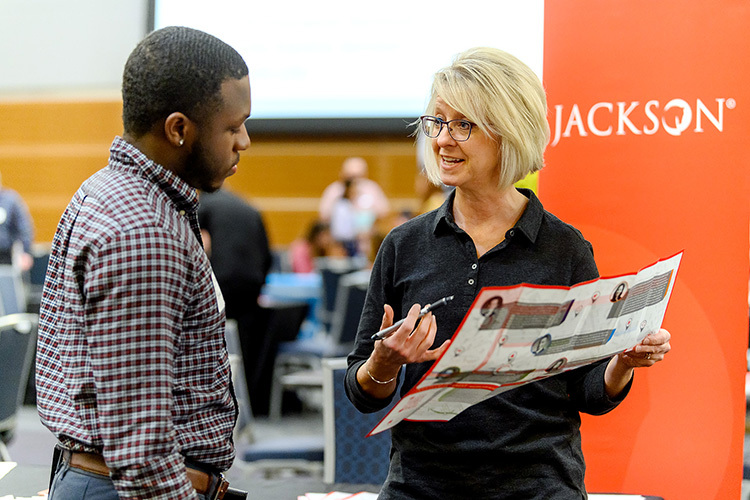 “BEST is our opportunity to help students build a bridge to whatever the next career step might be,” Buckner said. Liz Herald, a human resources advisor for Speedway LLC in Smyrna, Tennessee, echoed Buckner’s assessment. Herald, whose company was seeking potential interns and manager trainees, said she was seeking students who had drive and specific career goals in mind. 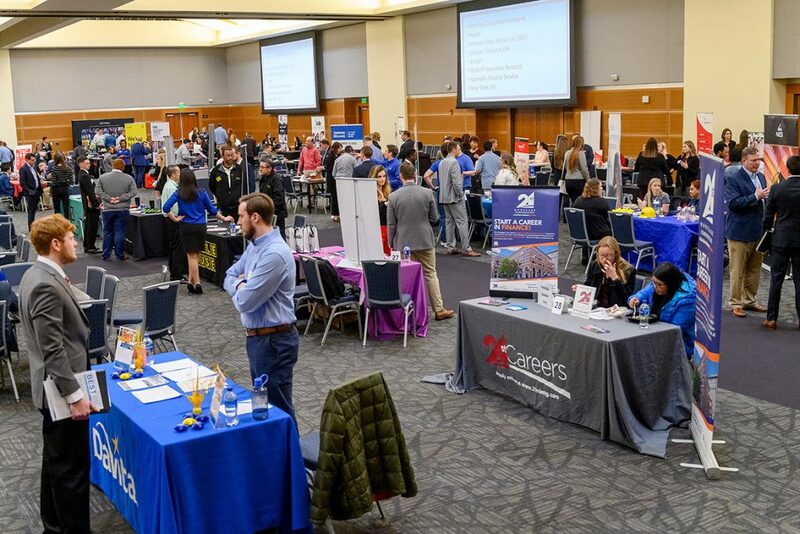 For more information about other career fairs and job placement services, visit the MTSU Career Development Center website at www.mtsu.edu/career.